In this weeks Quick Draw we’ll be featuring the P. Benitez Connecticut and Padron’s Serie 1926 #6. If you’re not sure what exactly a “Quick Draw” is, check back to our inaugural post here which gives a nice little description. Basically, it’s a quick review of a cigar we’ve recently had. Perhaps revisiting an old one, trying a new one, something we didn’t intend to review but surprised us, or whatever other reason we can think of. Without any more blabbering, let’s just jump right in! This cigar came to me by way of a secret stealth bomb that arrived on my door step one afternoon. I had no idea who it was from at first but after reading the label I found out my target was none other than one of our friendly readers, Jeff (a.k.a. jjo). Thanks for sending a little package my way Jeff, really appreciate it. I’ve never had any stciks from P. Benitez so I thought I’d jot down some notes for one of our Quick Draw segments while I enjoyed it. The cigar itself is nicely constructed with soft and slightly bumpy cedar colored wrapper. It’s also got a nice spring to it and a wonderful cedar and floral aroma. While cutting and toasting I noticed the wrapper is a little more resilient than most other Connecticuts I’ve smoked and it didn’t instantly char up or crack, even in the cold weather. A little research found that these cigars are made in Nicaragua with an Ecuadorian Connecticut wrapper, Indonesian binder and fillers made from Cuban Seed Nicaraguan Tobacco. Flavorwise, the P. Benitez Connecticut offers up a ton of cedar right from the start and it’s accented with interesting notes of mild coffee and some nutmeg or clove. The body stayed at a classic mild with no nicotine kick or bite on the retrohale. It did have a smooth cedar finish though. One thing I found lacking was the creaminess I’ve come to expect on most connecticuts but the variety of flavors still kept me interested. The cigar also had perfect burn, nice draw and a great strong ash rounding out an overall good experience. One thing I like about Padron is that you can always tell you are smoking a Padron. The Padron Family’s dedication to tobacco has, always resulted in an ultra premium, and all around unique experience. Now I am a maduro guy. 99% of the time I will choose the Maduro version of any cigar over the natural, but when it comes to the Padron 1926 I will almost always reach for the natural. The 1964, not so much, but there is something in the 1926 blend that makes the natural wrapper just so much more appealing to me. Maybe I’m prejudice, so what. Anywho, the format of the Padron Anniversary series have always been a favorite in my book. Along with multiple sizes, the wide box-pressed format of these cigars wins me over every time. It fits perfectly in your hand, your mouth, and even your humidor. 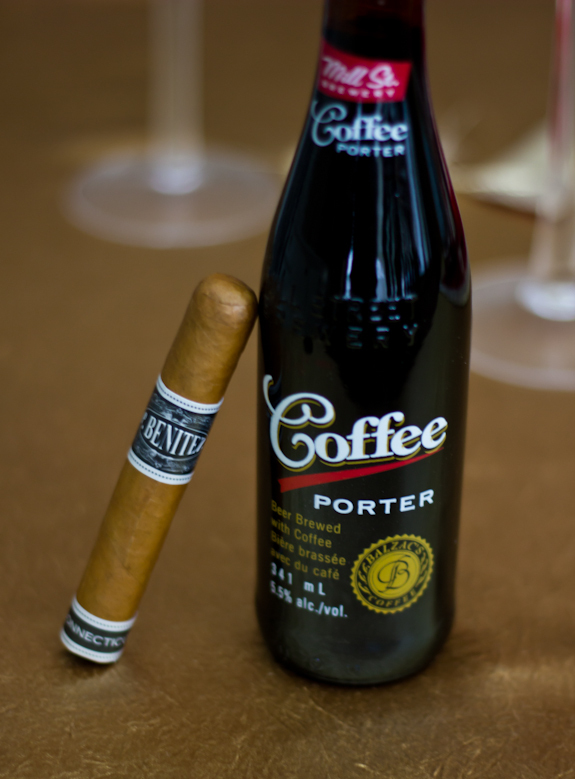 These cigars can be pricy, ranging from $12 – $30 depending on the size. I was lucky enough to find these at a steal locally; needless to say I grabbed a handful of them. The construction on these cigars is pristine, and in my experience, always has been. The Padron standards have never let me down with a crappy constructed cigar. One thing to mention is to make sure you keep your humidity in check as the wrapper on this cigar will dry up on you real quick. Anyhow, this is a tasty little cigar. 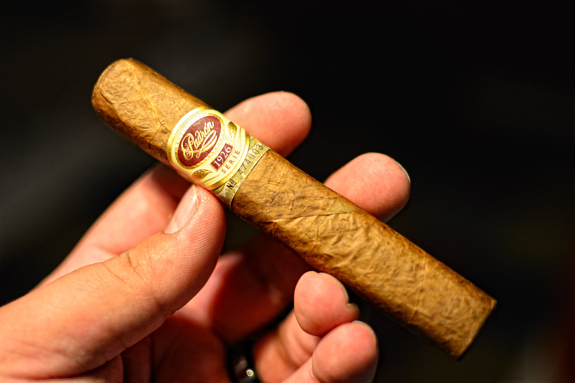 The Padron 1926 boasts of extremely strong, sweet cedar, coffee, cinnamon, with just a touch of spice. This blend aims to please and does just that. I personally hold Padron Serie 1926 blends on a pedestal. Every cigar in the $20 range will get compared to them (Would I rather smoke this, or a Padron 1926?). It’s an easy call for a special cigar that, although pricey, won’t entirely break the bank… just come close. For more information on the Serie 1926 you can check out Daniel’s review of the Padron Serie 1926 #35 Maduro, or his review of the Padron Serie 1926 40 Years Natural. On top of that he also reviewed the Padron 1964 Anniversary Series Maduro Principe, the Padron 1964 Anniversary Series SI-15, and the Padron Series 2000 Natural. I myself have reviewed the 1964 Family Reserve 46 Years Maduro as well as a blind review of a Padron Anniversary 1926 Piramide dating all the way back to 1999! Nice stuff. I have very little experince with the Padron 26’s… Maybe I have smoked 1…. Can’t remember. I do like this format as it is quick and concise, less fromal, and more thoughts. I do like you regular reviews, but a change up is always cool! I have no experience with Daniel’s smoke. Sound sinteresting! Gotta agree with Tony here, they are worth the price. If you can find the Principe size I think they sell for less or around $10, so easier to digest and you still get a quality cigar. I am not a Balla…. like you two…..I got bills to pay…. Ha! Hey THE jjo? The one I have been conversing with back & forth on co.com? Very cool of you to bomb him brother and even cooler to have him review your stick. I’m with ya TADD I too like Padron’s but only rememebr having 1-2 of them, I have looked at them in my b&m’s and they are rather pricey……one of these days I suppose. jjo is definitely a super cool guy! Never had any Padrons other than the regular line, but I aspire to go higher! I’ve had at least a dozen 1926’s off the top of my head, probably a 3:1 ratio of maduro to natural. I prefer the maduro, but I have a feeling nostalgia from smoking my first 1926 no 2 maduro in a blizzard makes me prefer the maduro over natural. As for construction though I got a box of Padron 2000 maduro’s that had awful caps, they were concave making it impossible to cut, I had to punch them all, good thing the 2000 maduro is so damn good or I’d have been peeved haha. The incredibly delicious flavor profile of the 1926 has had me hooked since the first one I smoked, despite their lofty price tag they’ve managed to remain a staple in my humidor. However it makes sense because I smoke a nice cigar (more often than not a 1926 maduro heh) for every midterm/final I do well on, incentive to study harder lol.